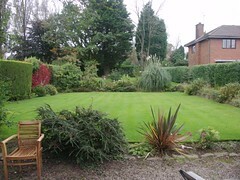 JC Williams Gardening Services provides a range of grass cutting/lawn maintenance services. Lawns are cut from the 1st March to the end of November on a weekly or fortnightly basis depending on individual requirements. Charges start from £17.50 and will be invoiced every four weeks. For more information please contact us.